Are you interested in optimizing the treatment of patients with complex medical conditions? Do you want to do this as part of a team made up of different healthcare professionals? In the Intramural Care (IZ) Learning Community, you learn to translate a thorough understanding of a disease into top-quality medical care for individual patients and into excellent clinical research among groups of patients. The major challenge for intramural care in the coming years is the interdisciplinary treatment of patients, many of them elderly, with increasingly complex medical conditions. This care must be organized in a safe and transparent manner in line with the UMCG's high quality standards. Current healthcare is so complicated that successful treatment of a patient depends on many factors and not just on a single physician. The focus in this LC is on collaboration between different healthcare professionals. Furthermore, this LC pays extra attention to patient safety. Why do things go wrong sometimes and how can we learn from these situations for the future? In addition to safe, optimal care, this LC pays a lot of attention to the scientific research on which this care is based, and students also learn to carry out patient-related research themselves. Would you like to help patients and treat diseases? Perhaps as a doctor or a medical researcher? In this Bachelor programme you prepare yourself to do just that. This three-year Bachelor programme offers you all you need for a career in Medicine. As a medical student you gain a lot of theoretical knowledge. In addition, you develop people skills and learn to work under pressure. In this programme you learn through interaction with people. From the onset, you meet patients. Through their cases you are introduced to all medical disciplines. Independently or in small groups you work on assignments. And during a two-week internship you experience the everyday practice of a hospital ward. In September 2014, we started a new teaching programme, G2020. G2020 has four learning communities, each with about 100 students. The context of learning differs in each community: 'Sustainable Care', 'Intramural Care', 'Molecular Medicine or 'Global Health'. You choose in advance which community appeals to you the most, and if you are selected you follow your entire Bachelor programme within that community. All communities lead to the same Bachelor degree certificate. After the Bachelor phase, students from all four learning communities enter the Master programme together, and if all goes well you leave university after six years as a physician (basisarts). Only a limited number of students is accepted to the Bachelor degree in Medicine. Admission is obtained through decentralized selection. Make sure you register in time for this procedure. As part of the community-specific teaching, students carry out integrated tasks. These tasks provide them with a deeper understanding of clinical aspects of themes from the basic programme. The goal of completing these tasks is to acquire competences that are relevant to working as a doctor in intramural and other settings. Example of a task in Year 1 Bloody serious This task focuses on blood tests. Tests are an important part of specialist diagnostics. This task introduces you to lab tests of blood and bone marrow in the clinical context. You learn how Hb level is determined, what a blood smear looks like and what coagulation tests can be conducted. You also determine your own blood type. This prepares you for a clinical vignette (case) in which you answer questions about blood and blood tests and write a detailed account of how to inform patients about this type of testing or the results of such tests. The two competences central to this task are Medical expertise and Communication. Respiratory physicians treat patients with lung problems in all age groups and in various stages of respiratory failure. How do you determine the stage of the disease in a patient and what treatment should be given to this patient? In this task, you focus on a particular area of the diagnostics and treatment of respiratory failure patients. Under the supervision of an expert, everyone in your group deepens their knowledge of the chosen area and share this knowledge with the entire year group. You participate in a simulation of a case meeting at an outpatients' clinic to discuss a respiratory failure patient, where your contribution to the decision-making about the diagnostics or treatment of this patient is assessed. The two competences central to this task are Medical expertise and Collaboration. For students who are interested in Biomedical research. 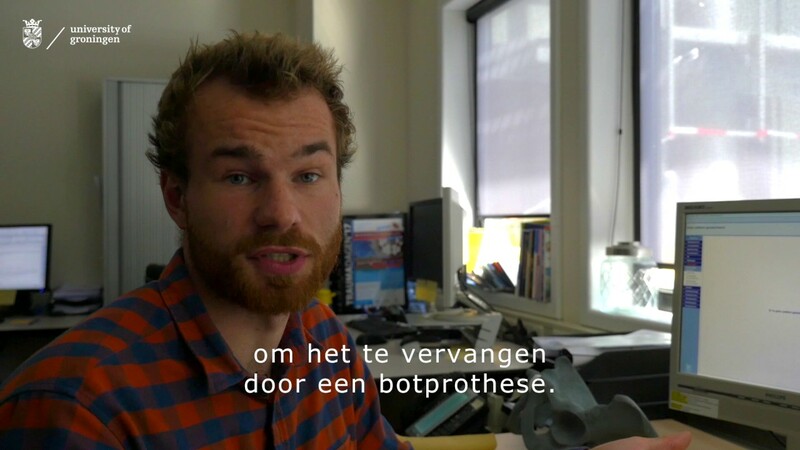 Het doel van JSM is om voor studenten geneeskunde, die geïnteresseerd zijn in het doen van wetenschappelijk onderzoek, extra mogelijkheden te creëren naast het bestaande onderwijsprogramma. Het ideaal is dat er meer artsen komen die naast de patiëntenzorg ook (klinisch-)wetenschappelijk onderzoek doen. Er is immers een groot tekort aan arts-onderzoekers. This programme has a numerus fixus with a maximum of 100 attendees a year. Collaboration, trust and responsibility, transparency in thought and action, a focus on improving processes and wanting to learn from your mistakes – these are the key characteristics that students must have in order to successfully study Medicine in the community Intramural Care. Do you want to excel on these points? The learning community Intramural Care is thé learning environment for you. You will be offered study advice after first year of study. You can expect a positive result if you have earned more than 45 ECTS credit points (out of a total of 60 ECTS). If you have earned fewer than 45 ECTS and are issued a negative result, you will not be allowed to continue with your degree programme. You will receive preliminary study advice in December to make sure that you know where you stand. Please contact your study advisor as soon as possible if you have any questions about the BSA system. N.B. Some degree programmes use a tutoring system; please check with your study advisor.